Are you tired, irritable and downright “burnt”? This is the book for you. 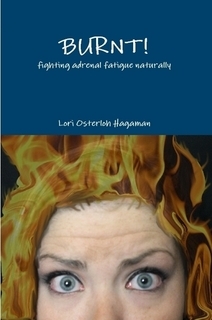 Let Lori, the Herbchick, shed light on how the adrenal glands work and how their functioning might impact your energy, mood, sleep quality and more. This book gets right to the point and is written in a way anyone can understand. There’s even a resource section at the end so you can find the items discussed in the book. You’ve seen it on Amazon…buy it direct from the author here!